The practice of Protestantism in Luxembourg is divided across several different churches and denominations. The largest Protestant churches in the Grand Duchy are the Protestant Church of Luxembourg, Church of England, and Protestant Church in the Netherlands. Altogether, Protestantism is the largest minority religion in Luxembourg (after the majority Roman Catholic Church), with estimates of adherents ranging from 15,000 to 18,000 (max 3,5% of the population). As a result of fierce opposition by Jesuit counter-Reformationists, Protestantism was outlawed in Luxembourg until 1768. By 1815, Luxembourg had small populations of Lutherans, Calvinists, and Waldensians. The Congress of Vienna changed the religious establishment; not only did Luxembourg pass to the Protestant House of Orange-Nassau, but it was also occupied by the armies of Protestant Prussia. The first permanent Protestant church was Luxembourg City's Baroque Trinity Church, which was appropriated by the Prussian garrison to hold their services. 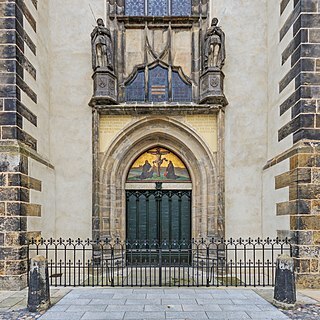 When the Prussian army left Luxembourg, the Trinity Church passed to the civilian population. In 1885, about 0.5% of the inhabitants of Luxembourg were Protestant or 1,100 out of 213,000 inhabitants. By 1914, there were more than 6,000, or approximately 2.3%. Most of the nineteenth century saw little change in the religious composition of Luxembourg's population, with only a marginal increase in the number of Protestants. However, towards the end, tens of thousands of German immigrants, many of whom were Lutheran or Calvinist, moved to Luxembourg to work in the steel industry. Grand Duke Adolphe sought to both recognise the contribution of Protestants and to establish state authority over the new denominations. To these ends, he ordered the creation of a new church, the Protestant Church of Luxembourg (PKL), which would unite the Lutherans and Calvinists. Immediately, the new church became recognised by the state as an officially mandated religion, similar in status to the Roman Catholic Church. Throughout the twentieth century, the growth of expatriates in Luxembourg caused a surge in number of further Protestant churches. New churches include Lutheran churches from the Netherlands, Denmark, and Sweden, Anglican and Presbyterian churches from the United Kingdom, and Evangelical churches from the United States. In 2003, the Church of England unsuccessfully applied to be given the same officially mandated status as the PKL and the PRKL. ^ International Religious Freedom Report 2004 - Luxembourg. 8 November 2005. US Department of State. URL accessed 12 May 2006. The history of religion in the Netherlands has been characterized by considerable diversity of religious thought and practice. From 1600 until the second half of the 20th century, the north and west were Calvinist and the southeast was in majority Catholic, with Muslims and other religions concentrated in ethnic neighborhoods in the cities. Since the 1960s the Netherlands has become one of the most non-religious countries in the western world. In a December 2014 survey by the VU University Amsterdam was concluded that for the first time there are more atheists (25%) than theists (17%) in the Netherlands. The majority of the population being agnostic (31%) or ietsist (27%). Most German Chancellors have been followers of a Christian church. German society has been affected by a Catholic-Protestant divide since the Protestant Reformation, and the same effect is visible in this list of German Chancellors. It is largely dominated by Roman Catholics and Lutherans as these remain the main confessions in the country.